HomeFeaturesAfrican Leaders’ Children Succession, Is Liberia Next? Robert Sirleaf on Wednesday announced his Montserrado county senatorial bid, breathing new life into President Sirleaf succession plan. Robert Sirleaf is the son of Ellen Johnson Sirleaf, current President of Liberia. Robert Sirleaf speedy ascent to the top—he only came to Liberia when his mother became the President of Liberia—feed into the narrative that proximity to power through kinship is a useful ingredient for the growing list of succession plans by African leaders. He had served in top governmental positions, including Senior Advisor to President Sirleaf and Chairman of the Board of Directors of the National Oil Company of Liberia. ( President Sirleaf also awarded her other sons governmental positions. Fumba Sirleaf is head of the National Security Agency while Charles is deputy governor of the Central Bank). Robert is highly qualified. According to the report, Robert is a financial expert, educated in the US and who has spent an inordinate time abroad, adding to the little-noticed trend that nearly all African leaders who are beneficiaries of dynastic or patronage politics have been educated abroad. President Sirleaf, who is the darling of the West, was educated at Harvard University. Kenyan President Uhuru Kenya, the son of Kenya’s founding father Jomo Kenyetta, in March 2013 edged out rival Raila Odinga in a closely-contest election. Kenyatta studied political science at Amherst college in the United States before returning to Kenya. It is not only in monarchies that the Head of State’s children succeed to power; it is also, alas, not unknown in republics. It has already happened in Sri Lanka, Azerbaijan, Syria. Togo, Gabon, the Democratic Republic of Congo. It sometimes happens that elections are announced to decide the succession, but it is known in advance who will emerge from them as the victor. Democratic Republic of Congo President Joseph Kabila studied at the National Defense University. He was awarded the rank of major-general and appointed Deputy Chief of Staff of the Armed Forces of the Democratic Republic of Congo in 1998. He was later, in 2000, appointed Chief of Staff of the land forces, a position he held until the elder Kabila’s was assassinated in January 2001. As chief of staff, he was one of the main military leaders in charge of government troops and when his father was assassinated, he succeeded his father. Gabon President Ali Bongo Ondimba, the son of Omar Bongo, who headed the country for 41 years, was educated in France from the age of nine, where he graduated from Sorbonne with a PhD in law. In preparing his son for the succession, Omar Bongo appointed him to governmental positions, including Minister of Foreign Affairs and Cooperation, Minister of State for National Defense. Ali Bongo was elected to parliament in 2001 and 2006 respectively. Through a bogus election, he succeeded his father immediately after his death. Another graduate of the famous Sorbonne in Paris is Faure Essozimna Gnassingbe, current President of Togo. Of the many children of former Togo President Gnassingbe Eyadema, Faure beat out his other siblings to succeed his father in February 2005. Through his father’s influence, he was elected to the National Assembly of Togo in the October 2002 parliamentary election. His father amended the constitution in December 2002, lowering the minimum age for the president from 45 years to 35 years, which was intended to benefit Faure. In 2003, he was appointed as Minister of Equipment, Mines, Posts, and Telecommunications, serving in that position until becoming president in February 2005. His appointment to the government in July 2003 came after he had already been appearing with his father at official functions and contributed to speculation that he was intended as his father’s successor. Even those seen as being prepped for presidency seem to have read the script of succession. Muhooozi Kaineraguba, the first born son of Uganda President Yoweri Museveni, is a graduate of the Royal Military Academy Sandhurst, which trains all British Army Officers, before adding stints in the military colleges in Egypt, the United States and South Africa. He is the Commander of the Special Forces Group, responsible for providing security to the President of Uganda and has been heavily linked to succeed his father who has been in power since 1986. Speculation has remained rife in Burkina Faso that Francois Compaore, the younger brother of Blaise Compaore is being groomed to take over next year, should the veteran failed to amend the two-term presidential limit. The younger Compaore studied economics in the Ivory Coast and the United States and has been the president’s powerful economic advisor since 1989. Ex-Senegal President Abdoulaye Wade’s positioning of his son Karim as successor contributed to his ouster in 2012 elections, following a failed bid by Wade to fiddle the constitution. Karim was referred to caustically as “Minister of Heaven and Earth” for holding several ministerial positions under his father (at one point, he reportedly controlled nearly half of the state budget). He graduated from the University of Paris with a master’s degree. Ex-Egyptian leader Hosni Mubarak was widely seen as preparing his younger son, Gamal to succeed him before the 2011 revolution. Gamal studied at the American University in Cairo, which offers an American-style curriculum and which has been the stop for many of Egypt’s and the Arab world’s foremost intellectuals and leaders. By promoting the political and business interests of their families, most African presidents can complicate their own successions. Handing power from father to son has not been accepted by the population, while the president is living, but has happened when a sitting president dies in office, as in Togo,Gabon and Democratic Republic of Congo as stated above. But the stakes are deadly serious for the would-be dynasties. In Equatorial Guinea, President Teodoro Obiang Nguema Mbasogo’s grip on power ensures the dominance of his children and relatives in the political, military and business elite in Malabo. 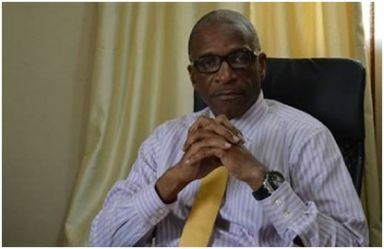 His son Teodoro Nguema Obiang Mangue (‘Teodorín’) is vice-president for defense and security; Gabriel Mbega Obiang Lima, a son from another mother, is oil minister; and his brother-in-law Candido Nsue Okomo runs the state- owned oil company GE Petrol. President Obiang gave Teodorín a more powerful post and a claimed diplomatic immunity in a situation in May 2012 as France and the US were pursuing charges against the president’s son for money laundering. Although it’s clear that most of the veteran presidents in sub-Sharan Africa who are contemplating political successions are scheming to prolong their grip on power by installing their children or relative. It is equally clear they will face a better organized and equipped opposition well able to exploit information technology and social media. Not only is popular resistance growing to the tired formula of dynastic politics still being planned in states such as Equatorial Guinea, Uganda and Liberia, but people resent the chaos and repression that go along with such systems. Up to now, it has been the cause for the popular lamentation that power has almost always been in the hands of profiteers who are not concerned with serving the national interest; their concern is rather to take up their privileged positions. Not only in Liberia, not only in Africa in general, but throughout the world too, this state of affairs must come to an end. The political turmoil left in the wake of Ben Ali’s, Muammar Gaddafi and Mubarak’s dynastic ambitions could provide a stark reality check for Teodoro Obiang Nguema Mbasogo, Yoweri Museveni and Ellen Johnson Sirleaf. We are watching.